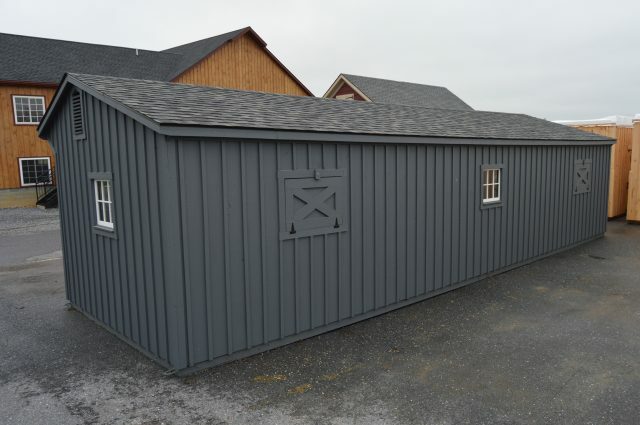 This is a 12’x40′ shed row barn. 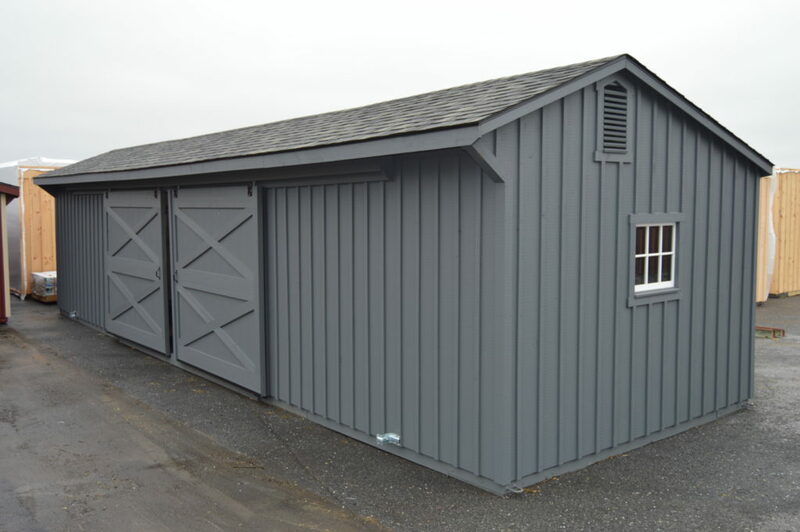 This Pine Plains, NY shed row barn was built with white pine board and batten siding painted with gray paint by Haley Paint Company. It has quaker style roof with GAF Timberline HD (Color Pewter Gray) architectural shingles. The windows are sliding wood barn sash windows by Bird-In-Hand Windows. The 8’x7′ roll doors are built by J&N Structures. The Gable Vents and 36″x24″ Drop Vents are also made by J&N Structures. 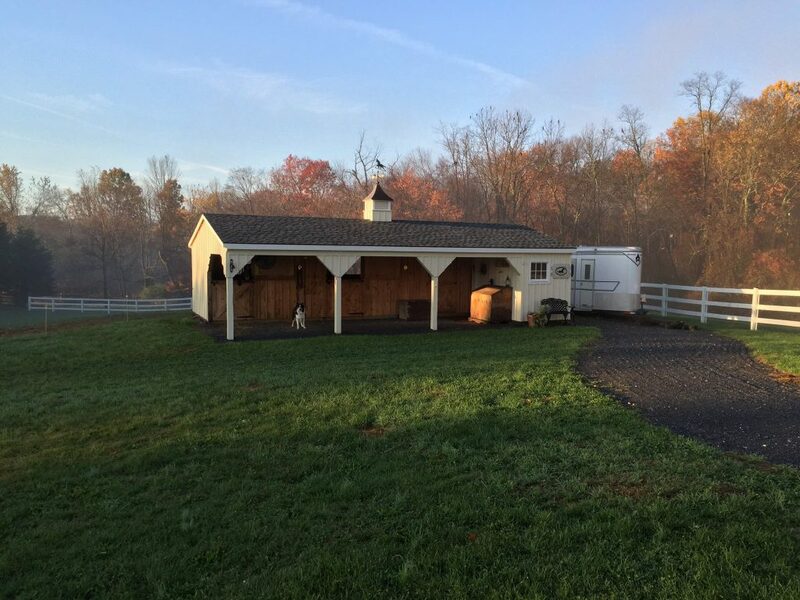 This shed row barn has (2) 12’x12′ stalls and a 12’x16′ run-in. 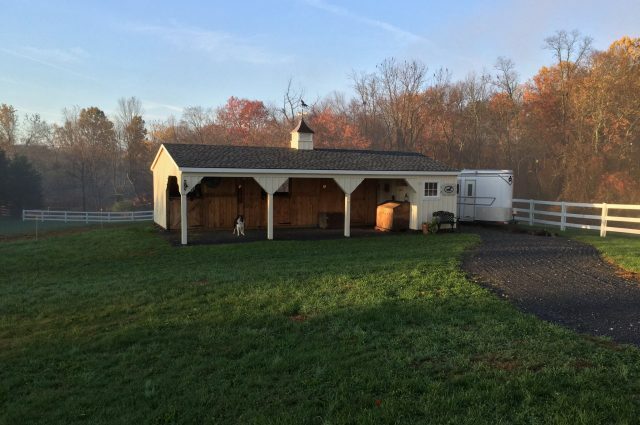 The stalls have a window, a drop vent, and a sliding 4’x7′ stall door that opens into the run-in. The run-in has syp kickboard,a window and (2) sliding doors. If interested in ordering this barn, please contact one of our dealers in your local area.